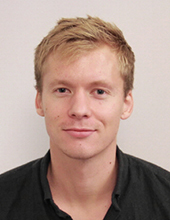 Måns Larsson is a PhD student in the Computer Vision and Medical Image Analysis group supervised by Fredrik Kahl. His research interests lies within segmentation of medical 3D-images as well as deep structured models for 2D segmentation. There might be more projects where Måns Larsson participates, but you have to be logged in as a Chalmers employee to see them.